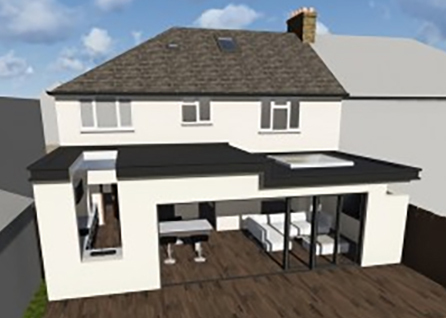 Following a site consultation with one of our managers, his scope was then modified to the addition of a floor to the bungalow, a loft conversion with dormer, to also excavate a basement extension, to create the outbuilding for an office at the end of his garden, and to create 2 semi-detached houses. He also requested our 3D Render service. In order to make our design sympathetic to the surroundings, we considered carefully the traditional look at the front. Even though it was not a conservation area, we knew the council would be more likely to approve a traditional facade. The client wanted a simple design without any fancy detail, so for the rear we had a pitched roof, white render to the walls, skylights and a sliding door. Because the proposal was fairly ambitious, and potentially contentious, we advised our client to go down the pre-planning application route. Once we had the pre-app. advice, our planning consultants and architectural designers prepared the main application for him. 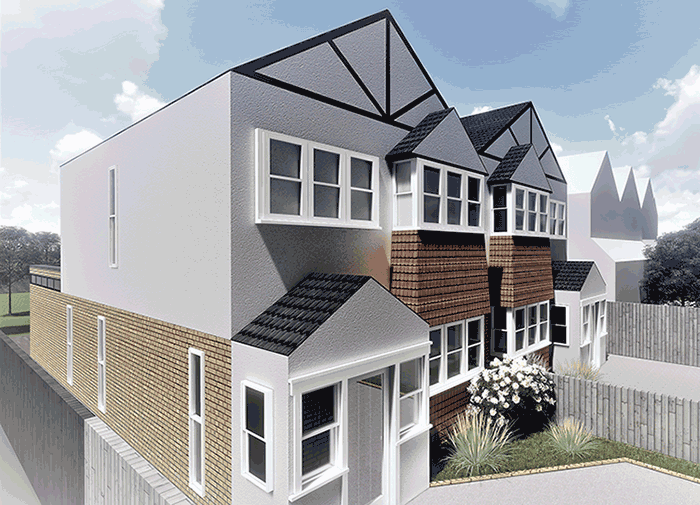 Our proposal was approved by Epsom & Ewell Council. Our standard service always offers a second option for the same quote with the planning services and if you instruct our 3D Immersive Design package, we create unlimited revisions until our client is pleased with the proposal. 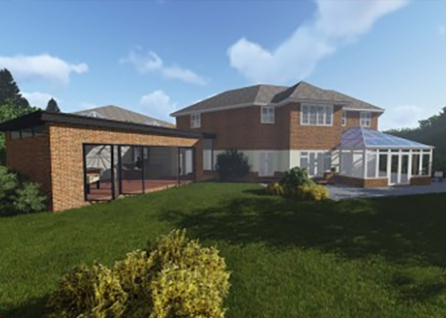 Our 3D service is an effective tool for convincing planning officers that your build will not be contentious but will blend with and enhance its surroundings. 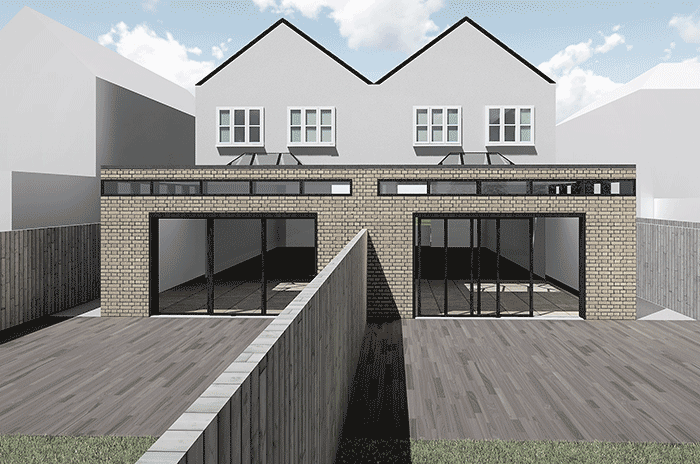 His site consultation had also been for another house on the same road, which was a much smaller project. 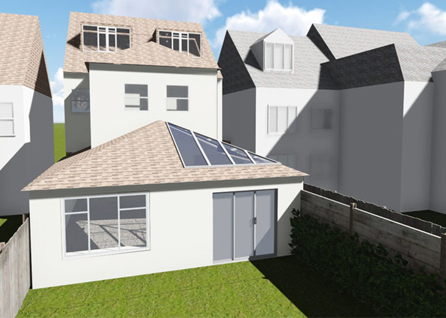 He wanted a 2m rear extension which has since been approved by Epsom & Ewell planning department. 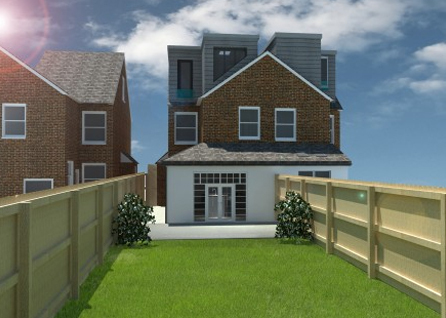 We were happy to do both projects, since this larger one was a great opportunity for our design team to solve an interesting challenge, and to create an ambitious development in Epsom. Please peruse some other loft conversion case studies. 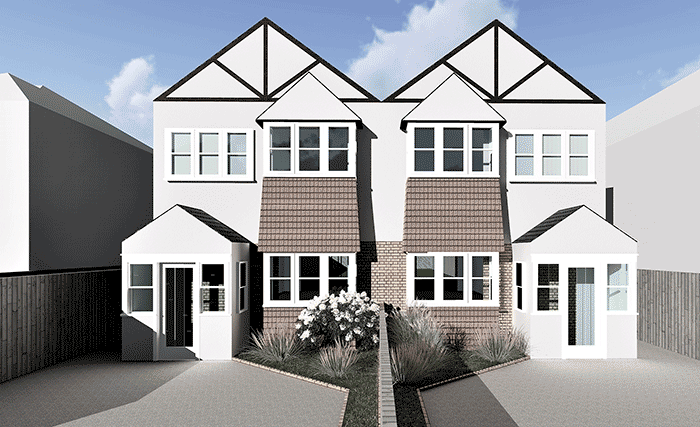 See also the page on our projects in the borough of Epsom & Ewell. Whether you live in Epsom or East London, we work within the M25 and the home counties. 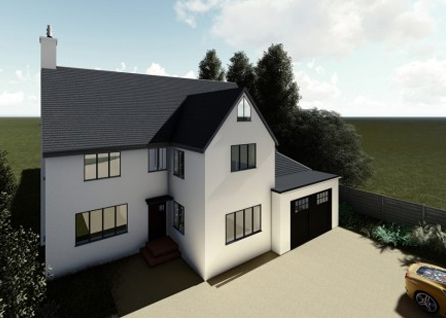 We can also answer questions about getting your planning consent for an extension, and discuss what you can achieve under Permitted Development. 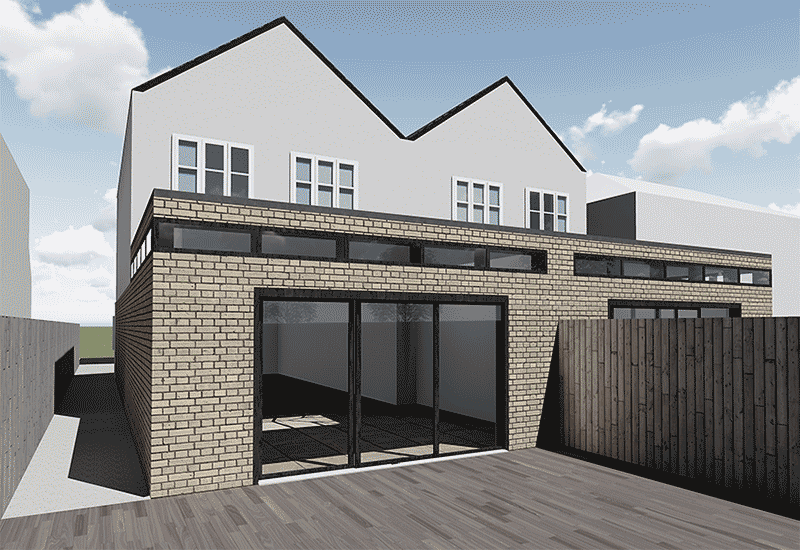 If you need planning full permission, we can help you get it or we can let you know if your permission is still valid. We don’t add VAT to the council’s planning application fees when we submit your application, and we liaise with the planning department on your behalf. There is no extra charge for this. We sometimes suggest the pre-app. Route, in the event of a slightly contentious proposal. See the Pre-app section on the Planning Portal for more details. We can also help you understand why you will need to satisfy Building Control even for small projects. If you are thinking of hiring a local architect or consulting the London architects list for a residential architect, have a look at some of our case studies. Extension Architecture are expert at home extensions & house design, with vast experience as London architects. Based in Battersea, we have built many projects locally in Wandsworth, Kensington & Chelsea, Kingston, and Richmond, as well as in other boroughs across London such as Westminster, Camden, Islington, Brent, Harrow and Sutton.